Consumable anywhere, podcasts have emerged as an important medium for cultural discussions. 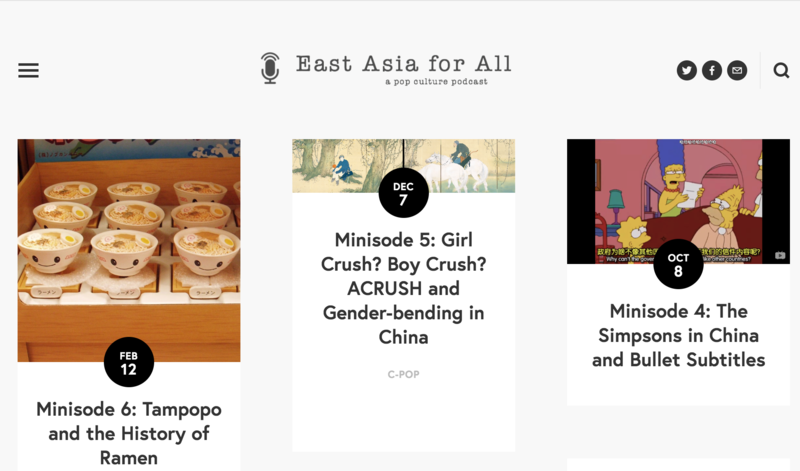 Join us for a conversation about East Asia for All, a public history podcast that provides nuanced discussion and context for English-speaking fans of East Asian popular culture. History graduate students Melissa Brzycki and Stephanie Montgomery created EAFA to reach a wide audience outside academia, but still allow for in-depth, “long-form” discussions. They will consider how, as scholar-educators, podcasting can help us hone our communication skills and challenge us to think about representing historical narratives in a way that is both informed and accessible. RSVP to reserve space and lunch. Cosponsored by The Humanities Institute, The History Department, and the Digital Scholarship Commons.